Hey there! This post has been in my draft box for a few weeks, but oh well. Earlier this month, I went to Clarksburg Premium Outlets and stopped by Talbots. I can always count on this store to inspire me when it comes to accessories. 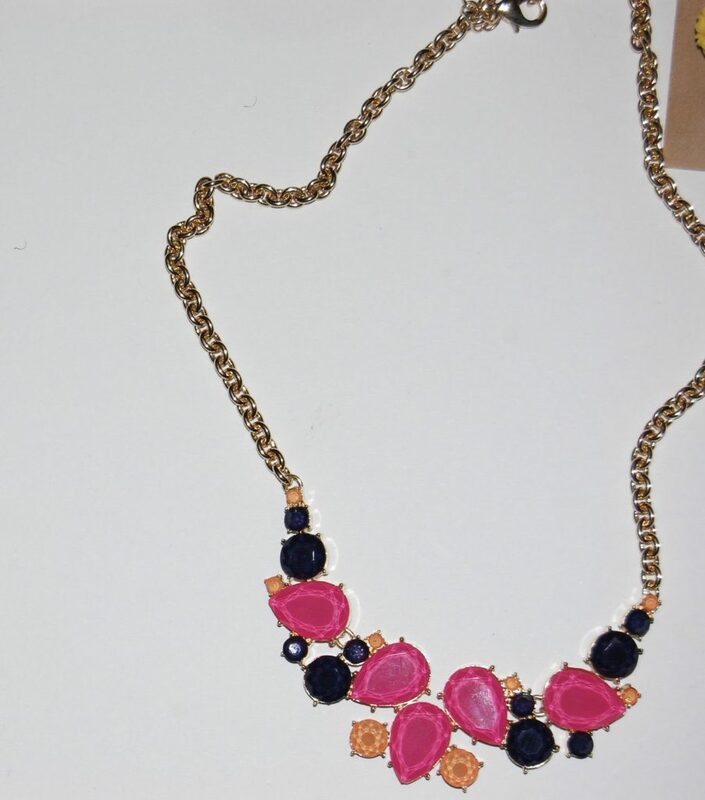 Whether it’s the main store or an outlet, they have a great lineup of adorable bauble necklaces, dangly and stud earrings, intricate statement pieces, and layering jewelry that can brighten any outfit. Even in the wintertime! I could find the links to them anywhere, but I’m sure you can find similar styles. Look at these cute stud earrings. The design reminds me of yellow carnations. They’re a little different than what I’m used to wearing, but I’m working on being bolder with my choices. I wore them on my sister’s birthday (her favorite color is yellow) so I got to celebrate in style. 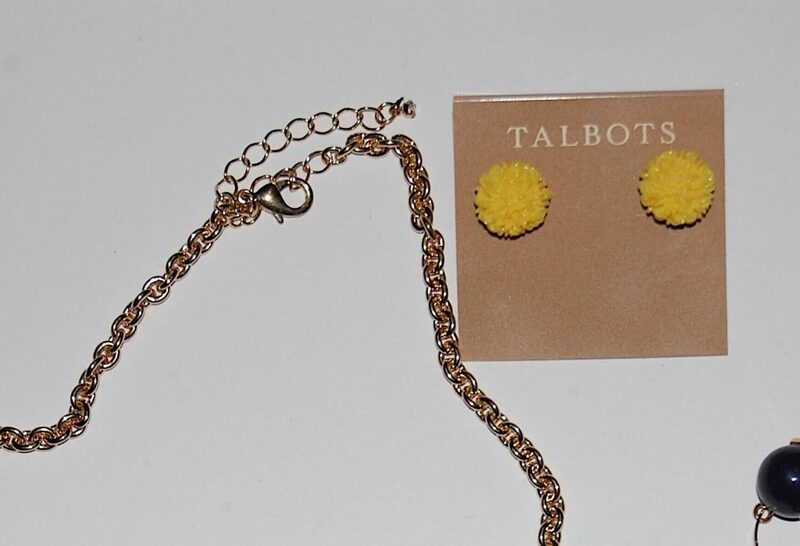 Here are daisy and lily stud earrings. And oh my goodness, you know I couldn’t leave the store without a bauble… They’re my favorite. It was the first piece I saw when I walked into the store and I knew I had to scoop it up! It’s a mini variation; I thoroughly enjoy the color combination. Definitely will be a great addition to my spring outfits. Probably for the first time ever, I didn’t buy a scarf! I saw a few on the mannequins that I liked a lot, but they weren’t around for purchase. Where do you get your colorful accessories? Do you try to add pops of color in your wardrobe during the winter months? Let me know.